Hunting ducks on the mid-coast of Maine is one of those classic experiences complete with idyllic settings, Yankee sensibilities and guns with cammo. Wherever you choose to duck hunt this season, before you set out to bag some waterfowl, have a look at our checklist of three essentials that will make your next duck hunting expedition a success. 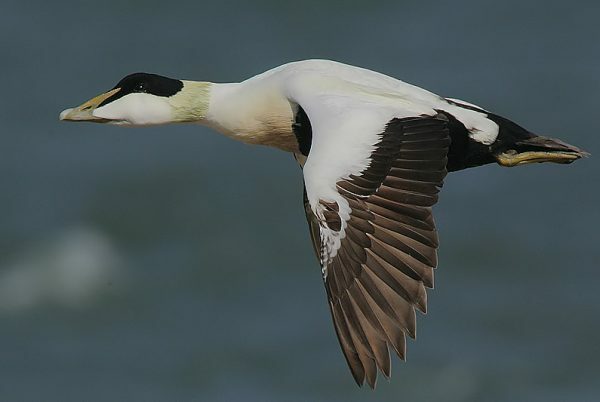 Old Squaw, Scoter, and Eider ducks are common fowl on the mid-coast. Every hunter has their preference, but when setting up sea duck lines, having the right decoy can be key. The Common Eider decoys are made from dense foam to float high in the water and are also carved, giving them realistic posture. When setting them, presentation is everything. Set hens on either side of several drakes to mimic courtship. Set your decoys close to your blind and at least 40 yards out. Having a set on shore can work, but being in the water makes it easier to get a level shot. Also if you don’t have a duck dog, you’ll need to retrieve the kill yourself. A good duck boat can be anything that floats, but the Stealth 1200 fits your entire set inside twelve feet. The Stealth 1200 duck boat features two water tight compartments, gun rack and decoy slots. It’s green and depending on the surroundings can be well hidden. If your spot has a lot of dark sea rocks, paint it black. Got a few spots to hit? Grab a motor mount and zip your set around faster. When duck hunting anywhere, if you’ve got a good decoy set, several birds can fly in at once. If you’ve got a reliable pump-action shotgun you’ll have the best chance at taking a couple down. Whether you prefer a Remington, Browning, Winchester, or maybe you’re a Benelli guy, don’t take your trigger hand off when reloading. Now that you’re up to speed on the essentials, all you need is an L.L. Bean jacket and directions to a coastal Maine town sure to have good hunting and great Lobster.